Award-winning singer Rihanna is doing more this week than launching her new album, LOUD, and kicking off the American Music Awards. She’s also lending her time and talent to help the American Cancer Society, the official sponsor of birthdays, create a world with less cancer and more birthdays. As the latest musician to join the more birthdays movement, Rihanna is helping draw attention to the fight against cancer and save lives. Her “happy birthday” video – inspired by the 11 million cancer survivors who will celebrate another birthday this year – will make its television debut during the AMA broadcast, and can be seen on morebirthdays.com. 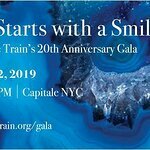 Rihanna joins Usher, Justin Bieber, Lady Antebellum, Keith Urban, and nearly two dozen other entertainers in supporting the cause. The new Rihanna video features presents wrapped in gift wrap produced from the art work of Kari Moden, also inspired by the American Cancer Society’s lifesaving work as part of the more birthdays campaign. Kari created the original “Silhouettes of Hope” art for the more birthdays movement as a tribute to all the women whose lives have been saved by breast cancer screenings, thanks in part to the American Cancer Society fighting to provide millions of cervical and breast cancer screenings to women who couldn’t afford them. To view the Rihanna video, click here. The Kari Moden art work, which can be purchased as gift wrap, a poster or a limited edition print with proceeds benefiting the American Cancer Society, can be viewed here. 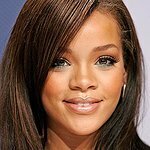 Rihanna fans can also send their friends and family customized happy birthday wishes featuring her video by logging onto morebirthdays.com and clicking on create. There are two ways to send a customized birthday wish: a musician phone call or a video e-card, both of which feature the song. These are free to send, or the user can make a minimum $5 donation to help the American Cancer Society advance its lifesaving work – turning their birthday wish into a meaningful gift that helps save lives from cancer. The e-cards and musician phone calls can be scheduled in advance to go to a birthday celebrant on their birthday anytime in 2010 or 2011. Other stars involved in the initiative include Jack Black, Whitney Port, Gloria Gaynor, Colbie Caillat and others.